The new diesel engine MAN D2676 LE13x for agricultural applications fulfills the exhaust status Tier 4 final and is extremely compact. At the Agritechnica trade fair in Hanover MAN is presenting its D2676 LE13x, the new six-cylinder engine for use in agricultural machinery. High flexibility in an extremely wide range of applications and noticeably high efficiency will convince machinery manufacturers and end users of the quality of this compact in-line unit. The MAN D2676 LE13x echoes the rating range from 294 to 382 kW (400 to 520 hp) at 1,950 min-1 occupied by its proven predecessor. The efficient power-pack comes with the following four ratings: 294 kW, 324 kW, 353 kW, 382 kW (400 hp, 440 hp, 480 hp, 520 hp). With its cylinder bore of 126 mm and a stroke of 166 mm the D2676 LE13x develops its maximum torques of 1,875 to 2,400 Nm from a cubic capacity of 12.4 litres. It meets the strict exhaust-gas standards EC Step IV and EPA Tier 4 final and saves weight in the process, as it manages without additional components such as a diesel oxidising catalyst or a diesel particulate filter. Downgraded variants for countries with less strict exhaust-gas regulations will also be available. In the modular exhaust-gas aftertreatment system extremely different installation variants can be devised thanks to variable positioning of individual components of the SCR catalyst. This kind of module kit makes for flexibility throughout the range. Beside this the engine's compact dimensions – 1,376 x 925 x 1,288 mm (length x width x height) allow the engineers maximum freedom for designing the perfect driveline for a particular vehicle. Airless dosing of the urea solution for SCR yields further space-related advantages. 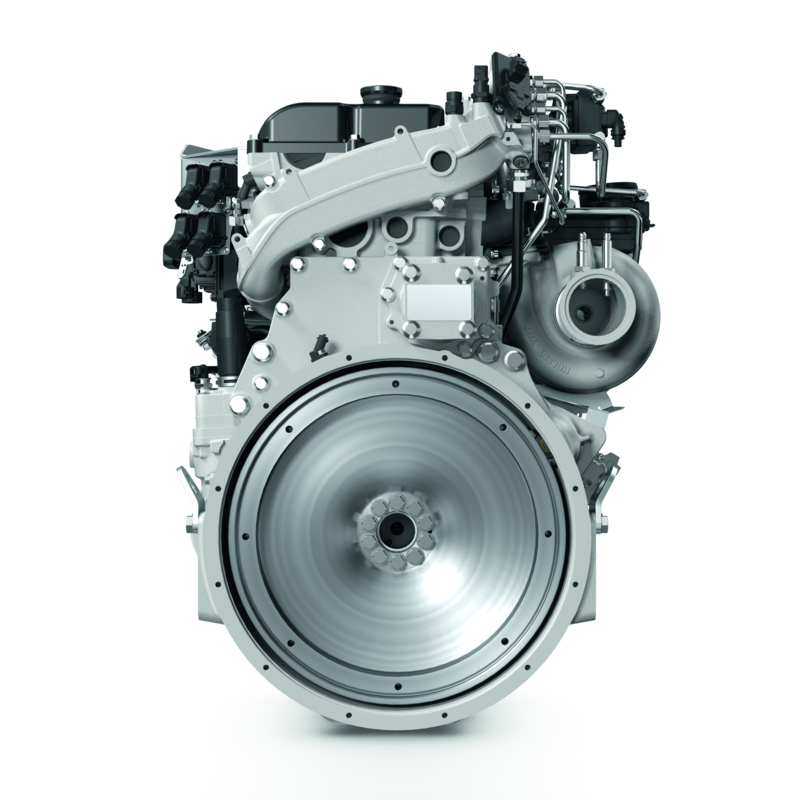 "With the D2676 LE13x we have created an extremely efficient and flexible engine with benefits for vehicle manufacturers, machinery operators and drivers alike," said Jürgen Haberland, Head of Off-Road MAN Engines. As a long-standing expert in the off-road sector MAN is unveiling in the D2676 LE13x an engine that has been specifically developed and optimised for the requirements of agricultural machinery. Based as it is on the large-scale series-production technology of the MAN vehicle engines, this unit comes with impressively long service intervals and low maintenance input. The variable turbine geometry opens up freedom to adjust torque curves perfectly to specific applications. Jürgen Haberland is convinced: "We can configure the engine characteristics individually and optimally to any application and thus get the maximum efficiency for the user out of the engine". Targeted use of this efficient technology gives the D2676 LE13x attractive features such dynamic response, high torque in the low speed range and an improved torque curve. The outcome of this combination of variable turbine geometry and the experience of MAN's engineers is reduced fuel consumption coupled with lower noise emissions than the predecessor model. This year too, from 10 to 16.11.2013, MAN will be putting in an appearance at the Agritechnica as a provider of efficient combustion engines. In Hall 23, Stand C04, the public can for the first time view exhibits and find out the technical details of the new engines for off-road or energy-generation applications.